JAINA Education committee along with two Jain Centers organized Jain workshop in Maryland. The workshop was very well received, and it was an enlightening experience. Details are given below. Jain Society of Metropolitan Chicago organized the annual Health Fair in May and April. The Health Fair was a grand success. Please read the details below. Q 1: What is Akam Nirjara? 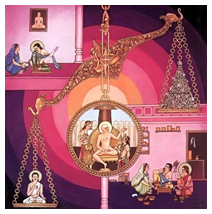 Q 2: What is Sakam Nirjara? This year, Jain Society of Metropolitan Chicago (JSMC) organized the annual Health Fair on April 22nd and May 6th. With record-breaking registration from 250 JSMC members and seva from 75+ volunteers made the Health Fair a grand success! Services provided to members at no cost were: a complete Blood work, EKG, Carotid screening, Bone Density check up, Eye Exams, Dental checkup, Hearing check up and detailed consultation with primary care physicians and various other specialists. Over 40 doctors and specialists including PCP, Cardiologist, Oncologists, Radiologist, Gynecologist, Dentists, Audiologist, Ophthalmologist, Physical Therapist, Pharmacist and Dietitian provided their seva to their members. JSMC appreciates the donations received from many members of the community and all volunteers who helped to make this community service event successful. JAINA Education Committee, Jain Society of Metropolitan Washington (JSMW) and Jain Society of Northern Virginia (JSNV) jointly organized Jain Workshop was from April 27-29, 2018 at the Jain Temple of JSMW in Maryland. The workshop was attended by 48 people, mostly from the DC metro area, but there were also attendees from Nairobi, Kenya, New Jersey and Pennsylvania. The workshop was very well received, and it was an enlightening experience. Puniya Shravak symbolized ideal worship and devotion. He was a devotee whose devotion was praised by Bhagwan Mahavir himself. A resident of Rajagriha he came under the spell of Mahavir’s discourses and began to practice aparigraha (abandonment of worldly possessions). He embraced poverty willingly and gave away all the wealth he had inherited from his father. He would be happy and contented with what he earned from making cotton threads. He believed that contentment had nothing to do with possessions, with wealth or acquisitiveness. It is simply a state of mind. Combine whole wheat flour, oil and salt in a bowl and knead into a semi-soft dough using water. Divide it into 6 equal portions. Keep aside. Combine stuffing ingredients in another bowl and divide it into 6 equal portions. Roll a portion of the dough into a 75 mm using a little whole wheat flour for rolling. Place a little stuffing in the center of the circle. Bring together all the sides in the center and seal tightly. Roll again into a circle of 125 mm or desired thinness using a little whole wheat flour for rolling. 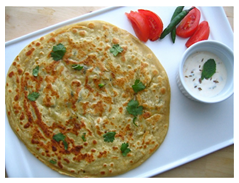 Heat a non-stick tava and cook the paratha using a little ghee until golden brown spots appear on both the sides. Repeat with the remaining dough and stuffing. Serve with raita and green fudina chutney. 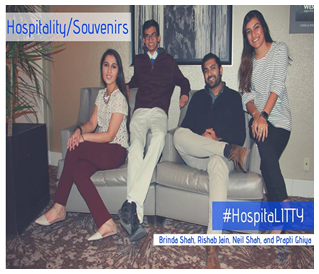 Bringing you the folks behind your soon-to-be favorite new T-shirt and classic chutney sandwiches, here is your Hospitality & Souvenirs team! Get ready for the best snacks and coolest souvenirs this YJA Convention, along with memories you’ll never forget! A 1: The shedding of karmas by passive suffering is known as Akam Nirjara. For example: To fast when no food is available to eat. By Akam Nirjara it would take ages to get rid of karmas, which we have accumulated. A 2: The shedding of karmas by active efforts is known as Sakam Nirjara. The Sakam Nirjara destroys Karmas very fast and accelerate the end of the cycle of birth and death. For example: To fast with a free will, when sufficient food is available.